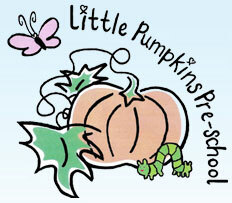 Little Pumpkins Pre-School C.I.C. based in Lawford, Essex, offers inclusive early years education and childcare as well as holiday club, breakfast and after school wrap around care for children aged 2 - 11 years. The learning environment is a STEM (science, technology, engineering and mathematic) approach focusing on the child’s interest. Our practitioners are highly motivated and self-directing early years educators who attune to your child to support their development. We are sited on the grounds of a primary school, which is fantastic support for good transitions before your child starts school. We accept Government funding for 2 and 3 year olds as well as offering invoiced sessions. We are open from 7.30am to 5.30pm, Monday - Friday 50 weeks a year. We aim to support families and build relationships, with the focus of the child and families aspiration being centre. It is key for our staff to build an attachment with your child for them to feel safe and secure in our provision. It is Little Pumpkins aim to grow a sustainable organisation and to be an employer of choice.